Finally, A Z-Wave Garage Door Opener Conversion! Hate getting down the road and wondering if you shut your garage door? Or, if you have a sensor on your door, you have to hate turning around to go home and close it. Don’t you also wish you could integrate a Z-wave garage door with the rest of your home automation system? Interested to switch from a manual garage door lock into a smart garage door? 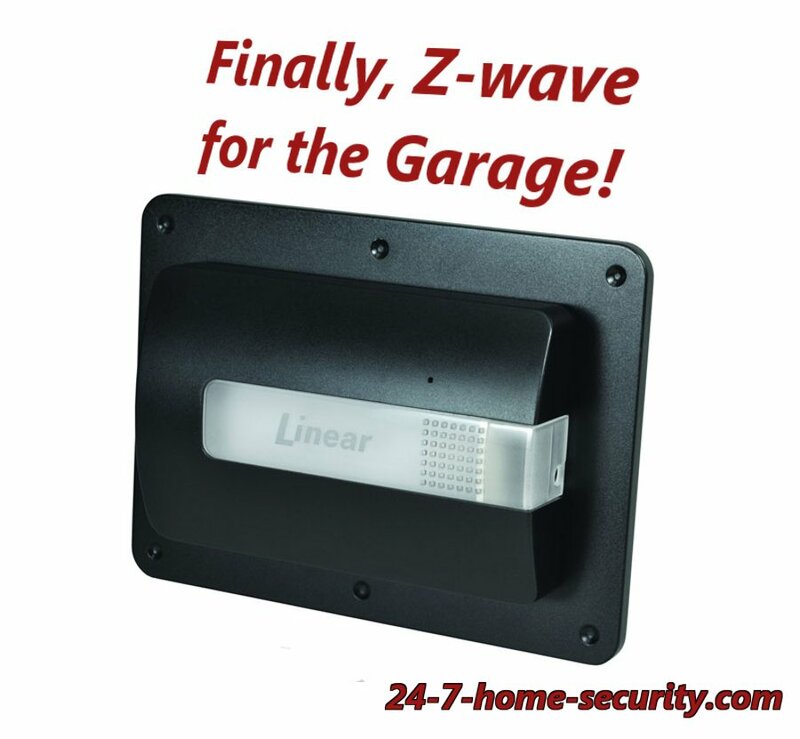 We’ll introduce you to a new Z-wave garage door kit from Linear that gets the job done. The more enterprising folks know that you can piece together your own solution. Our smart garage door guide can help you set up control with any home automation protocol you want. But, those solutions aren’t as secure as they could be and often aren’t well-supported as a single unit in your home automation app. That’s where the Linear garage door kit can help. It comes with the opener and the sensor to tell if the door is opened or closed integrated together, making it easier to manage as one device by your smart home hub. If you have one of those, you should be able to go the MyQ route without too much hassle. 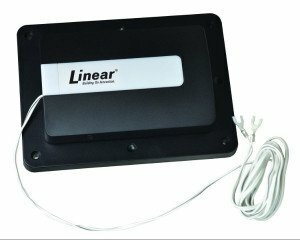 How does the Linear Z-Wave Garage Door Opener Work? It’s pretty straightforward, but we’ll walk through the operation just in case you’re lost. The kit comes with a sensor to tell what state the door is in as well as the controller that interfaces with your hub via Z-Wave and your garage door. The garage door position sensor communicates to the controller via 345 MHz wireless protocol, and the controller passes that on via Z-wave to your home automation hub. When it comes to controlling your garage door, you will have to mount the controller near your existing opener and then connect two wires to terminals on your opener. 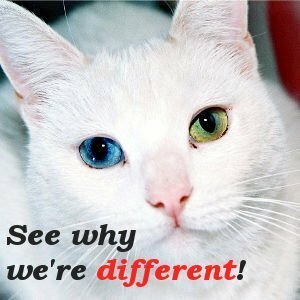 Essentially, you’re mimicking the switch that’s already installed on your wall with a dry contact or relay operation. In that respect, the interface is the same as our guide to a smart garage door with any protocol. The difference is the connection to the sensor on the door through the controller, so that only one device interfaces with your hub. In our solution, the hub has to talk to two different devices. It’s not the end of the world, as apps like SmartThings support combining two devices into one “garage door opener,” but it may not be so easy with your hub. And, the Linear GD00Z-4 also uses the more secure Command Class, which adds additional handshaking to the commands to combat spoofing. What’s the competition for smart garage doors? As you can see from the table below, most of the smart garage systems use WiFi to connect to your smart phone. By doing that, manufacturers are sticking with a protocol they know you’re likely have at home and avoiding the need to add a home automation hub if you don’t have one already. BUT, most folks with home automation systems already set up loathe the idea of adding yet another app to control their garage doors when they could use the one they have from Vera, SmartThings, Staples Connect, etc. Your hub may support adding a device like MyQ via WiFi, but that can be hit and miss. There are also many open source home automation software you can explore to integrate into your security system. That’s where the Linear offering is clearly unique. The Linear GD00Z-4 is a solution that’s been a long time coming for those with Z-wave home automation hubs. And, it gets solid marks for what it does. As you can see in the table above, it does come in a bit more expensive than a piece-meal solution since you aren’t able to shop around for any door sensor and relay combination. But, you have to consider the convenience of a paired set of devices as well as the added security of the Z-Wave Command Class that is used to open the door. All in all, this is a great solution for that nagging feeling that hits when you’re 5 minutes down the road or when you need to let a friend into your house. 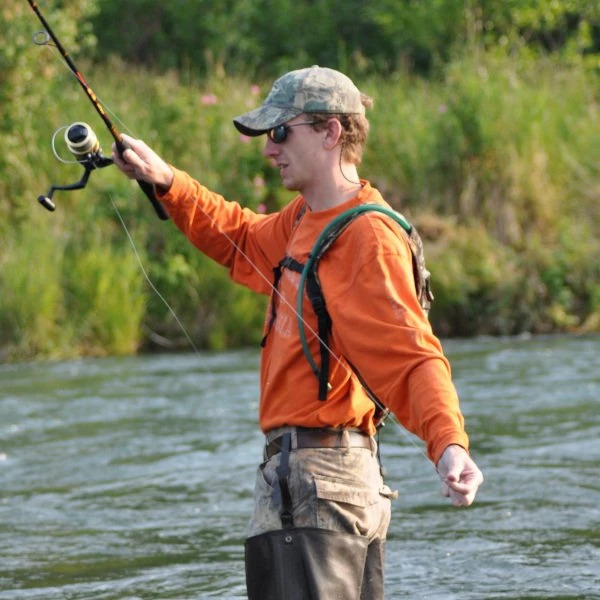 If that sounds good, check out the other smart products you could do fun things with too. Head’s up: Some of the links in this article go to Amazon, and we get a small commission if you buy from them. But, it doesn’t effect the price you pay at all. Feel free to read the reviews and shop at your favorite retailer for better deals if you don’t want to support us. Nice to see this product. I bought and returned a Go Control because of that ridiculous “safety” feature that limits the number of open/close attempts and then requires a person on-site push the door’s open/close button manually. Is this the same unit as the Go Control device? Does this unit also limit the number of “tries” to successfully open/close the door? I’ll be thousands of miles from this garage door and cannot take an airline flight just to push a button! Thanks for dropping by Robert. It looks like the Linear unit is just a rebrand of the same GoControl unit. I’m currently running my own setup (you can see it at http://24-7-home-security.com/how-to-make-a-smart-garage-door-opener-that-works-with-any-protocol/) that you may want to consider given your frustration with the GoControl unit.